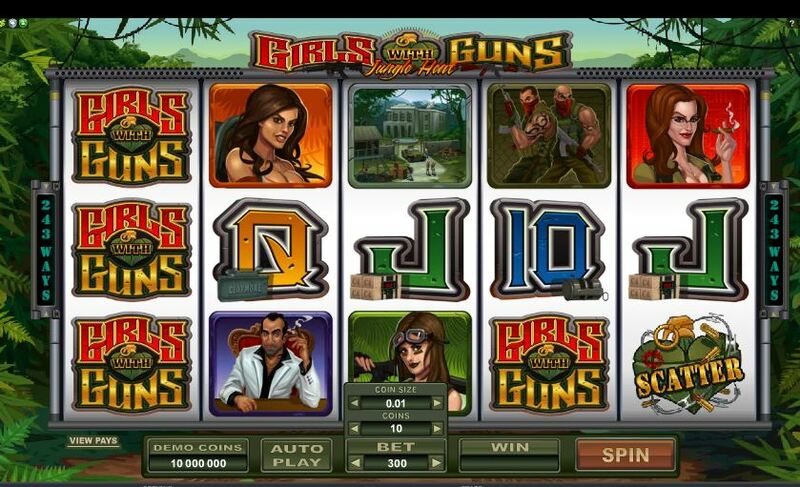 Girls With Guns Jungle Heat slot is different from its Microgaming sister Girls With Guns Frozen Dawn slot in that although the base game is similar the free spins bonus is different. 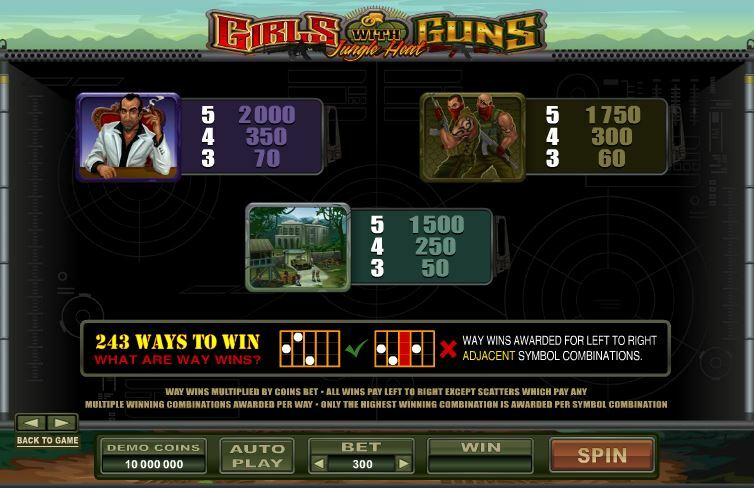 We have the same 243 ways over 5 reels and 3 rows and expanding Wild on reel 3 plus stacked Wilds on the other reels. 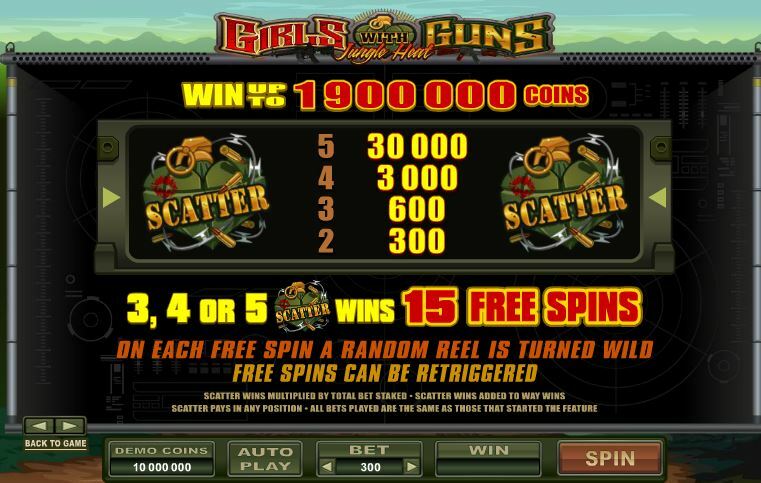 There are 15 free spins triggered by 3 or more scatters that can be retriggered. 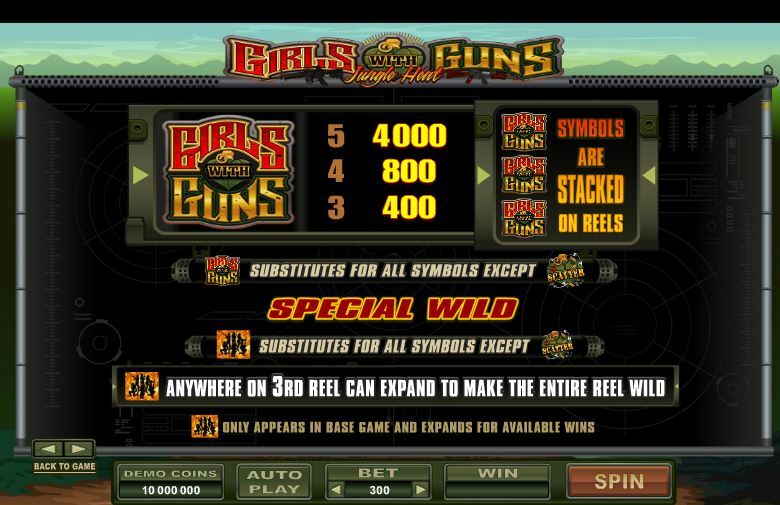 Each spin in this bonus will have 1 reel Wild but there is no expanding Wild on reel 3. RTP is 96.55%.